The British postal service hands out vast numbers of rubber bands every day. 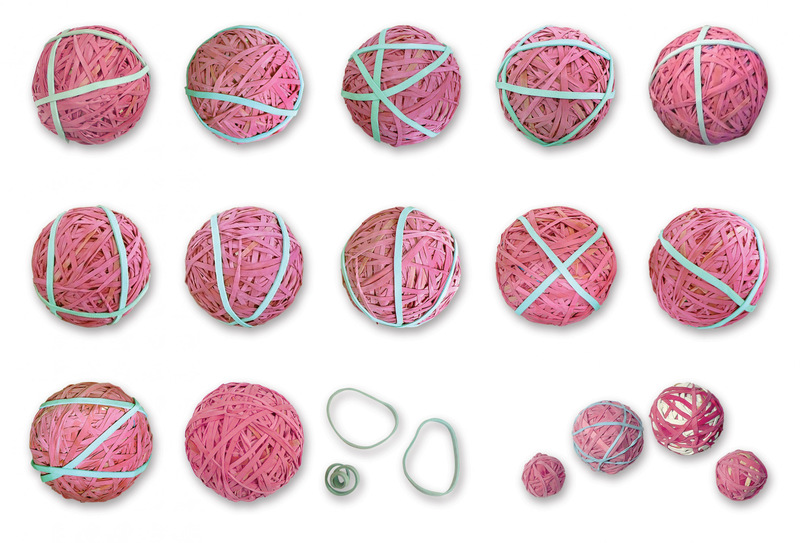 We almost always receive our mail wrapped in at least one rubber band, and used to throw most of them away until we discovered rubber band balls. ___ Made – you guessed it – from 100 per cent rubber bands, they grow as you add on new rubber bands. 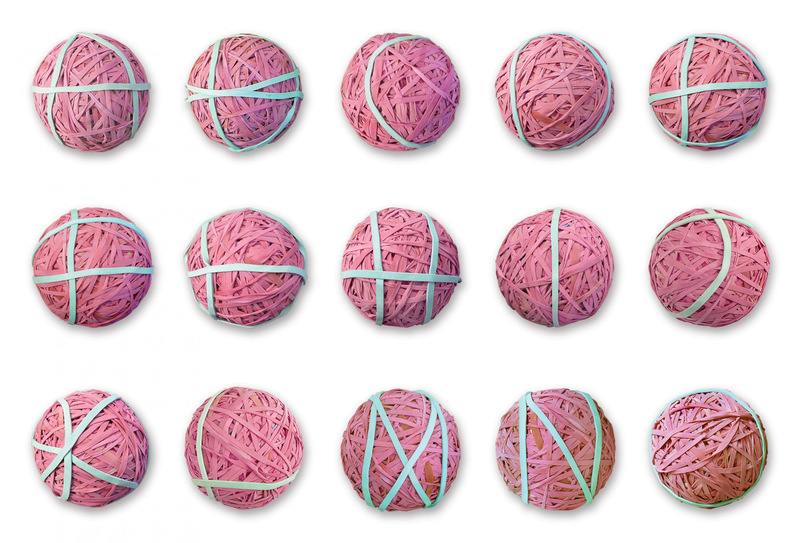 We have five or six rubber-band balls here in the studio, ranging from one 9cm (3 1⁄2in) in diameter to little one-week-old ones just 1.5cm (1⁄2in) in diameter. Using the largest one we had, we took on the challenge of creating an alphabet, restricting ourselves to using a maximum of three green rubber bands to be added to the red ball. ___ Pictures of the rubber band ball alphabet are featured in FL@33's third book The 3D Type Book (Laurence King Publishing, 2011).